While I love my job – which is especially fun during the holidays – there is one particular morning when I wish that I, like (seemingly) the rest of the world, had the day off for Christmas Eve. 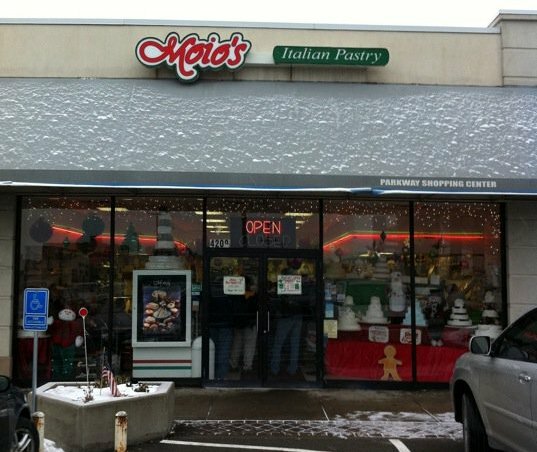 Before I worked in the food industry, my father and I would go to Moio’s Italian Pastry Shop in Monroeville, PA on the morning of December 24th, and stand in line to pick up our cannoli and rum cake. As is any food establishment on Christmas Eve, Moio’s (still going strong after 70 years) was packed. When you plucked your number from the plastic ticket holder you were always at least 50 away from being next in line. But the place smelled delicious, the customers (mostly married men, totally psyched to have been sent on this errand instead of asked to peel carrots or clean the silver) were pleasant, and the staff handed out samples of pastry and cups of coffee. This trip is such a part of my Pittsburgh memories it even made it to an article in the Post Gazette last year. 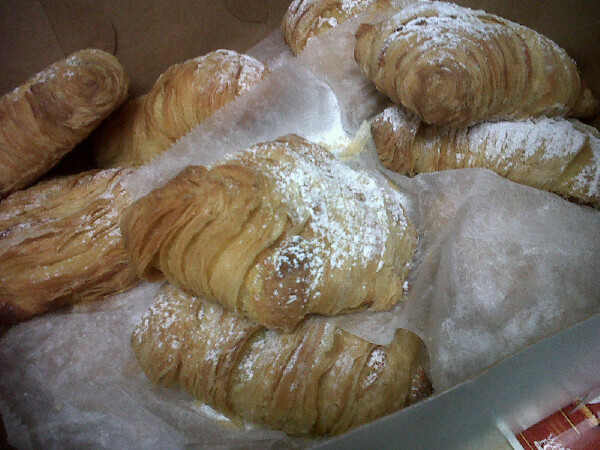 One treat I have not found since Moio’s is Pasticciotti, an Italian cream puff with mild lemon filling, which I miss almost as much as having that quality time and tradition with my dad (and in later years, my brother as well). But I’m lucky enough to have a new holiday tradition. Now, it’s just not Christmas without a sfoie wrapped in paper towels, hidden away in my purse.